There's a lot of shuffling that could happen between now and March 1st. - The Sharks may also look for some security behind Martin Jones. Some have pointed to Thomas Greiss as an option. - Speaking of which, the Islanders still have 3 NHL goalies in their organization. Jaro Halak isn't an AHLer, so that's going to have to be remedied somehow. - The Kings are likely in the clear with Jonathan Quick set to return in a month or so. But that leaves some wondering what they do with both Jeff Zatkoff and Peter Budaj on the roster - do they trade one? - The Flyers have two pending UFA goalies on their roster in Steve Mason and Michal Neuvirth. Do either get dealt by the deadline or are they "own rentals"? Some believe the Kings inquired on Mason when Quick went down. 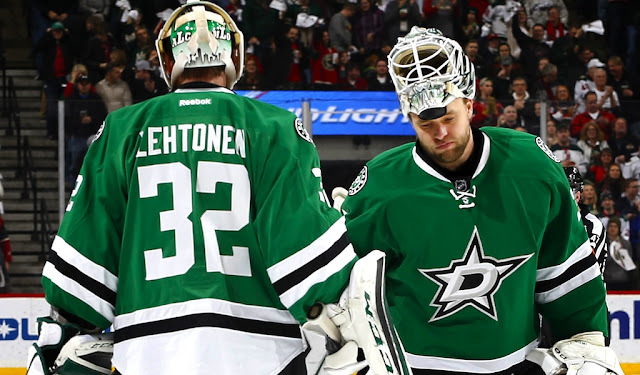 - Do the Stars look to upgrade from the Kari Lehtonen and Antti Niemi dynamic duo? If so, how do they make it work? It's believed they inquired on Tampa's Ben Bishop in the summer. - Tampa will eventually trade Bishop, but there's a question as to when. Future starter Andrei Vasilevskiy might need some insulation this year. - Rumours indicate the Jets are up to something. It's believed they are after an upgrade to help Connor Hellebuyck along, with Marc-Andre Fleury coming up as a possibility. Don't forget Ondrej Pavelec, who generated some interest from the Kings earlier this season. - The Penguins have to do something about their two starter situation of Matt Murray and Marc-Andre Fleury. I talk about this more here. - If and when Craig Anderson returns full time to the Senators, the team will have to find a taker for either Andrew Hammond (Sharks rumoured) or Mike Condon (Penguins had some interest). 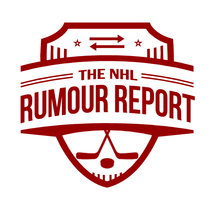 - The Avs are always in the rumour mill, so it's no surprise Semyon Varlamov's name has come up. Calvin Pickard likely gets protected in the expansion draft, meaning Varly could be gone via trade at some point. - The Canucks are in the midst of a playoff push so this could be moot, but Ryan Miller's name has come up in trade rumours over the last couple of years. Jacob Markstrom is waiting in the wings. - Though nothing seems to be percolating at the moment, Detroit will have to do something about having two quality goalies in Petr Mrazek and Jimmy Howard before the expansion draft. - Have to wonder whether the Hurricanes are truly satisfied with their goalie tandem moving forward. Cam Ward has played well but isn't a long term solution. Remember, the 'Canes inquired on Frederik Andersen before they ultimately re-upped with Ward.